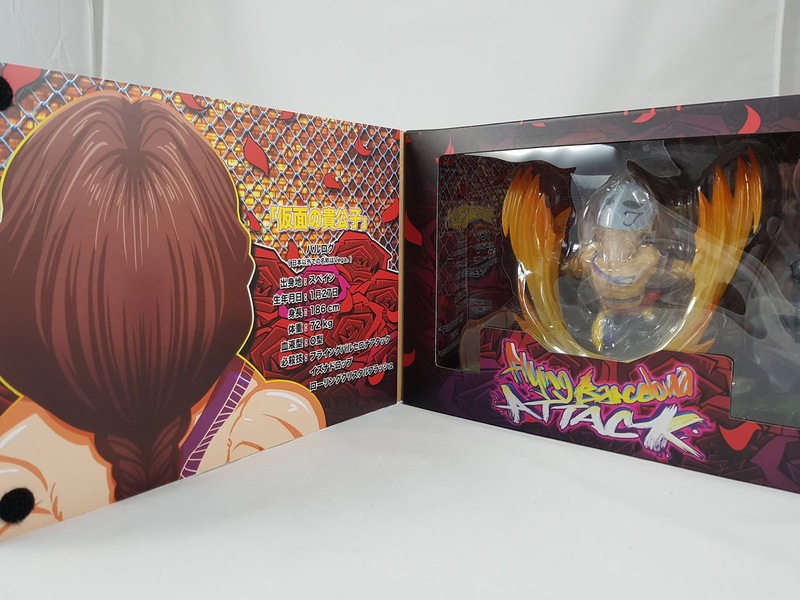 BigboystoysHK have done some great work with their Street Fighter series. I've got all the main characters from the series, and am glad that they're committed to completing the core characters from Street Fighter 2. 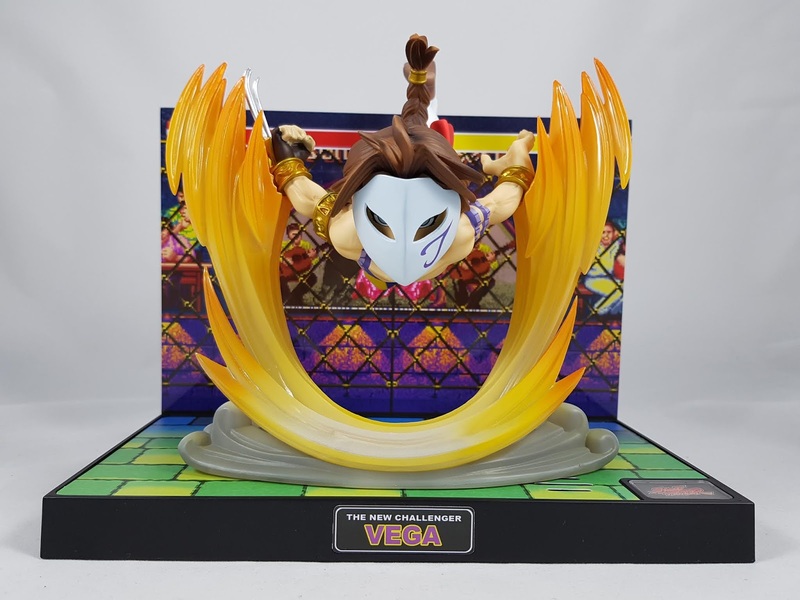 Their latest is now the first of the original boss characters with Vega. Again, they've designed the pose and light/sound features beautifully to capture that classic fighting move from the game. Click through below to watch my full video review over on the Kool Kollectibles YouTube channel! 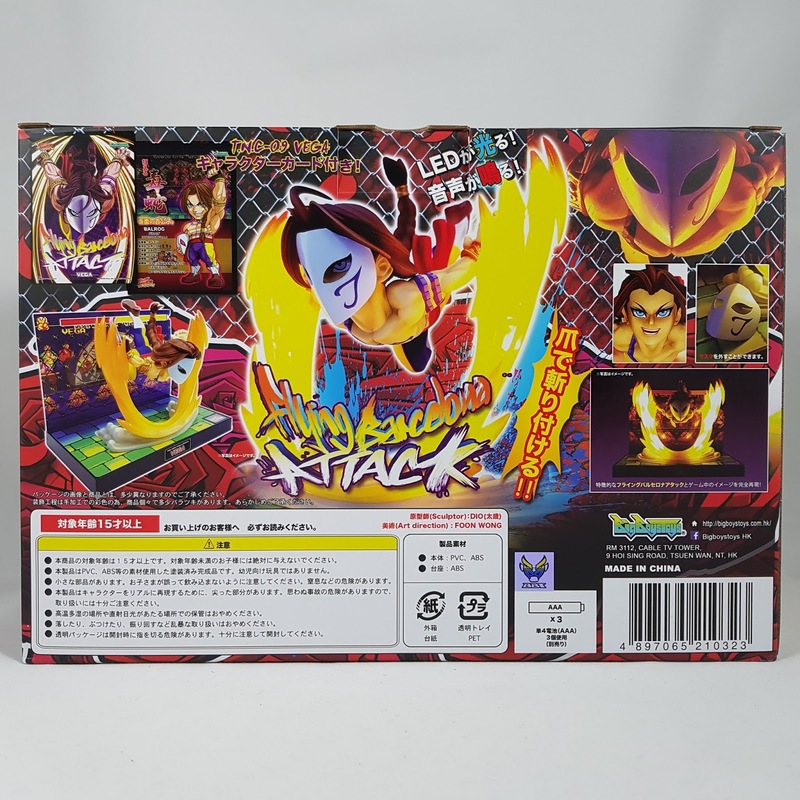 Packaging is the usual fantastic style, with great artwork on the front. They've had consistently awesome artwork with this super-deformed style, and the covers do indeed look fantastic displayed together. There is a bit of assembly to put the statue together, and it does get fiddly this time. The wrists have little posts that fit into holes in the lightup base. Out of the box, the base is a little too wide, so you do need to stretch out the arms slightly and push the base ends together to get the wrist pegs to fit into the holes nicely. Just go slow and you shouldn't snap or break anything. I'd suggest putting one arm in first slightly, and then squeeze to place the other arm in. Then push down to firmly place both arms in. Once all set up, the set looks fantastic! 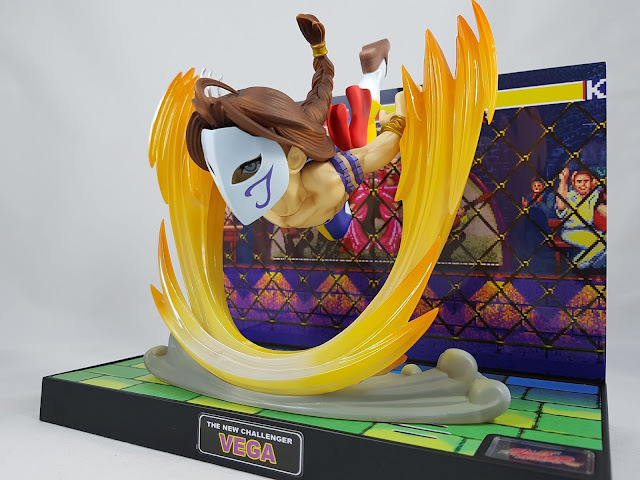 The background is Vega's classic game stage, and the pose captures his flying attach move perfectly. The sculpting and paint app are the usual high standard. The face mask is also removable, and attaches via a magnet near the top of the forehead. It fits pretty well, and his unmasked face looks suitably "pretty" for the character. 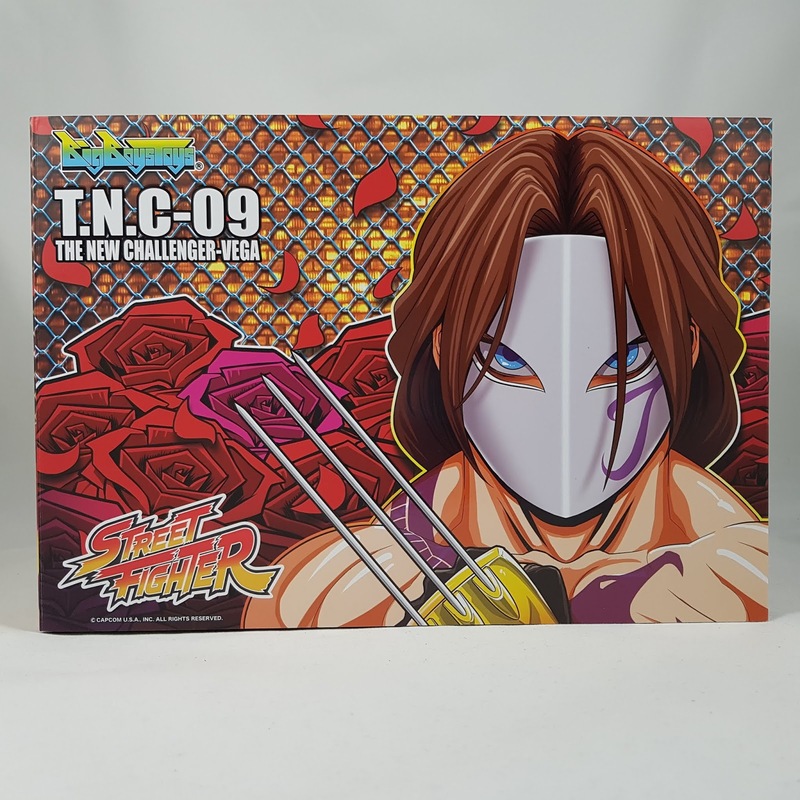 I prefer the mask on look which befits his attack move. The sound effect is the clip when he perfects the move, and the lightup effect is nicely time-sequenced with the sound. Overall, if you're a fan of the original Street Fighter 2 game, you will love these statue sets as much as I do. I still need to figure out how to display all the characters together, and they do look amazing all displayed with each other. I can't wait to see how they do Sagat, Balrog, and M.Bison to finish off the original bosses!